Few fighters demonstrate the resolve and determination regularly delivered by Arturo Gatti during his long and eventful career and precious few are held in such affection by boxing fans around the globe. A reputation for effort, entertainment and sheer bloody mindedness has earned Arturo Gatti a very special place in boxing folklore, his name etched alongside more gifted fighters because of the ‘Human Highlight Reel’ his career has become. Humbling defeats to Carlos Baldomir and Floyd Mayweather, a catalogue of debilitating wars over a ten year period and advancing years have left Gatti close to retirement and with news Micky Ward – with whom Gatti shares so much history – is to train him for his latest run, the sense of his next sequence of fights being something of a victory parade is hard to shift. Ward didn’t need long to accept the invitation and Gatti, blue collar to the end, leaves Buddy McGirt with the blessing of the man responsible for extending his career this far thanks to a shift in style that reduced shots Gatti took in a typical ten rounder. 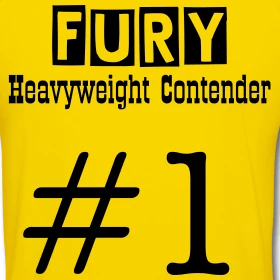 May fighters have been whispered as opponents, probably most notably Lovemore N’Dou the IBF Light-Welterweight champion looking for a big pay day at 147 but the job goes to the renown Alfonso Gomez a gutsy, plucky professional best known for his role in the first Contender Series. Few fights pitch together two such honest warriors and in truth Gomez could prove to be way out of his depth even against a veteran version of Gatti but Gomez is accustomed to being written off and of being competitive when not expected to be. His first show defeat of Series 1 favourite Peter Manfredo Jnr. evidence of that. Clearly, Gomez’s renown is greater than his fistic achievements and that is proving a compelling tool for promoters who look to the Contender stars for pay-days with reduced risk. Just ask Frank Warren. But I find this bout highly intriguing and I fully expect Gomez to entertain and take it to the revered veteran. It is true Gatti is a bigger puncher than anyone he has faced, but I simply cannot write Gomez off. Misguided affection for a stubborn, gutsy little fighter or an instinct that could help me hammer the bookie? Time will tell, but good luck Alfonso. July 14th in Atlantic City. Alfonso performed well. Gatti should retire after getting KO’d by Gomez. he has contributed a lot to the fame of boxing and he has been in too many wars. He should now walk away before he becomes permanently injured.